The Producer’s Guild of America identifies at least eight different type of motion picture producers. Unfortunately, none of their descriptions encompass the role and responsibilities of the story producer, and their chief, the Supervising Producer. The situation is further complicated by the existence of the Post Supervisor, and the subordinate coordinator position. If you factor in society’s general lack of understanding about editing, you arrive at a truly ponderous crossroads. The first distinction must be made between all of the producer types, and the editors. Editors and producers make significant contributions towards creating a reality show. But it’s the labors of the editor that “create” the final images you see on television. The U.S. Department of Labor defines what an editor does as: “manipulate images that entertain or inform an audience.” But in reality television producers are usually expected to know how to operate nonlinear editing software, usually Avid Media Composer. So this definition falls short. Ultimately, I think it boils down to something very simple: an editor can also be a producer, but a producer can not be an editor. What I mean by this is: if you needed to create something to air on television tonight, an editor could lean on their skills to create programing, while a producer could not. Here skills refer to someone with an assortment of technical knowledge and artistic experience ranging from knowing how to assemble a show for broadcast according to network delivery specifications, to abstract things like timing and juxtaposition. That merging of the left and right brain certainly requires a certain kind of person. But I digress. The next distinction required is between the “logistics and operations” producers (the Post Supervisor and coordinators) and the “creative” producers (the Supervising Producer and story producers). The difference between these producer types is similar to quantitative and qualitative things. The Post Supervisor manages the quantitative aspects of the show: the budget, the post schedule. And the Supervising Producer manages the qualitative things like interpreting network notes and rewriting interview questions. There is nuance within this separation. For example, a good Post Supervisor can act as a sort of show coach. But in general I believe that it is important for a Post Supervisor to be non-creative in the office. Story producers and editors can become emotional about their work; it is good for them to know they won’t get any additional notes from me. 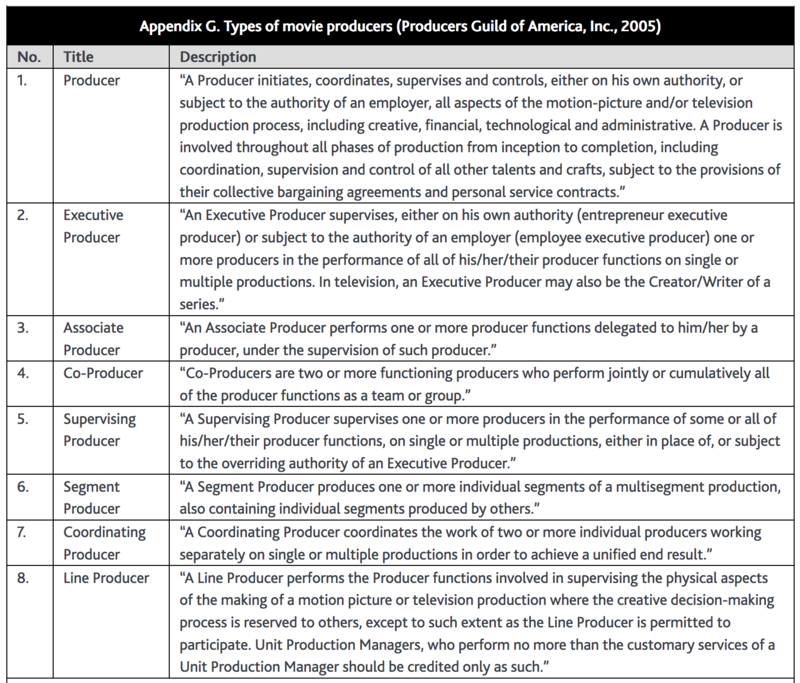 There is also an additional distinction between the Post Supervisor and the Supervising Producer worth mentioning: as the show’s production cycle changes, so does the workload and responsibilities. During pre-production a Post Supervisor is busy budgeting, scheduling, and locking down hires. The days are busy with a hundred little tasks, but there is usually no reason for the days to be long. Once production begins and footage rolls in from the field, the Post Supervisor becomes busy supervising loading, grouping, episode prep and communicating with the field to resolve the technical issues that always crop up. The Supervising Producer will be busy herself getting story updates from the field, and communicating with The Showrunner and network executives. During the production phase, the two usually work equally long. Once the show hits its middle phase and all of the episodes are prepped, the Post Supervisor’s work decreases, but conversely the Supervising Producer’s work increases. With non-stop cuts being sent to the network the Supervising Producer needs to keep all of the teams appraised of the evolving story notes, while the Post Supervisor should be reaping the rewards of all his planning. As the season winds down the balance of work shifts yet again. Delivering and finishing episode after episode, often back against airdates, the Post Supervisor again has hundreds of tasks to oversee. The importance of completing them correctly the first time is paramount because mistakes are costly at a time when it can least afford to be spared. Meanwhile the Supervising Producer’s role diminishes as the creative team wraps out. Up until now we have defined a story producer by what they are not. We’ve separated editors from producers; then subdivided producers into operations producers and creative producers; and finished by distinguishing the Supervising Producer as the chief of the story producer. This done, now we arrive at the possibility of describing the responsibilities of a role singular to reality television. The story producer, like the Fat-Cutter of old, “cuts down” an unwieldy mass into something more manageable. In reality television the unwieldy mass takes the form of hundreds of hours of vérité and interview footage. The process of “cutting down” the best bits into a straightforward 43 minutes story is a valuable, but under-appreciated skill. The story producer will read story summaries from the field, and screen various pieces of footage to see how well the outlines match the coverage. The purposes of all this refinement is, as Matthew Watts description of the story producer’s job, “to simplify and delay” the story for the audience. But alas; we will dive into the story producer’s process later in our narrative. Satisfied for the time being that we know of their existence, and their contribution to the show.